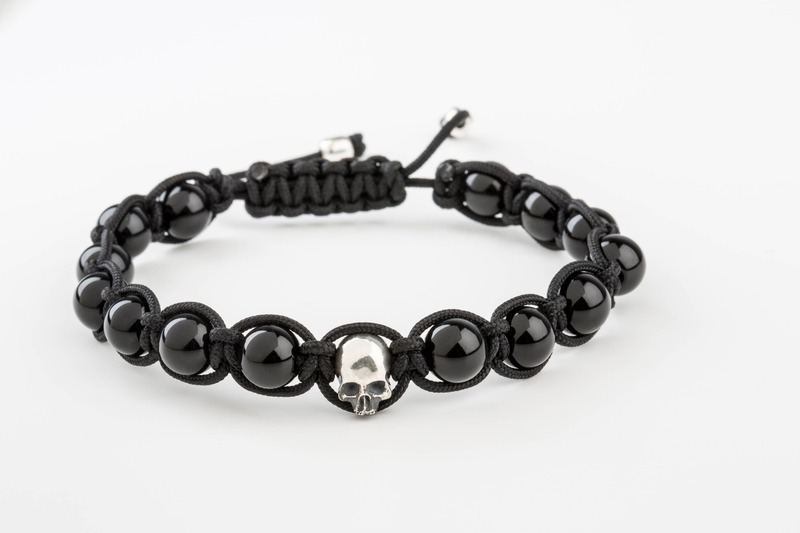 Bracelet composed of solid sterling silver scull, natural black smooth polished onyx gemstones (8mm). 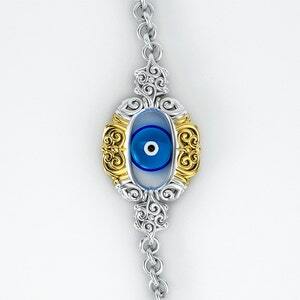 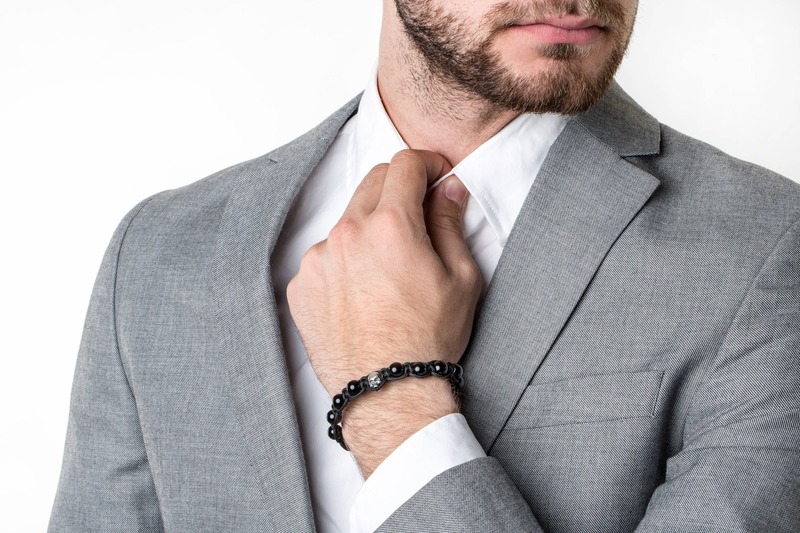 Set on a nylon link, very resistant, and finished with small solid sterling silver beads. 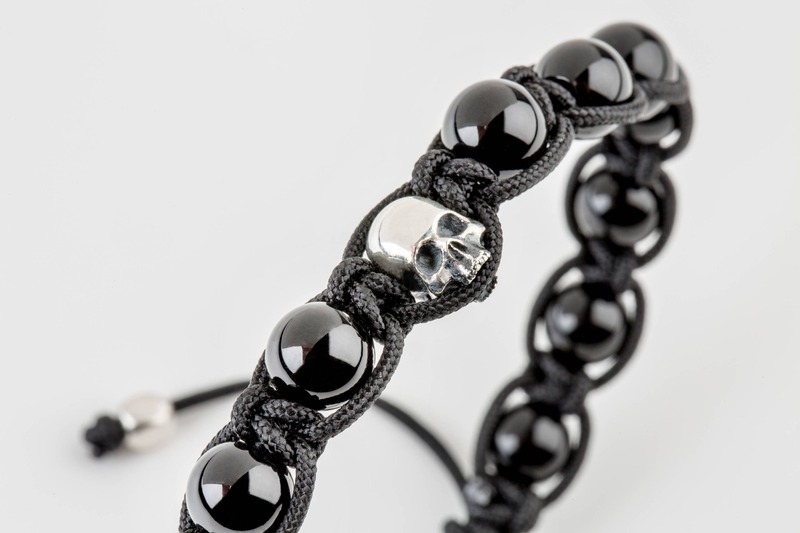 Perfect combination of black and silver reinforces the lux aesthetic of this bracelet by utilizing black onyx stones and sterling silver skull 925.